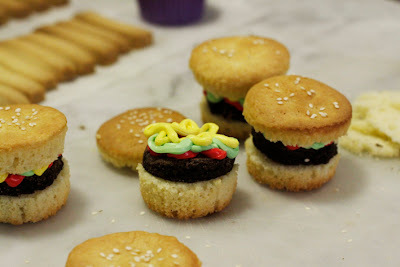 My Wey of Life: Burger Cupcake YUM! Look what I've made today!!! 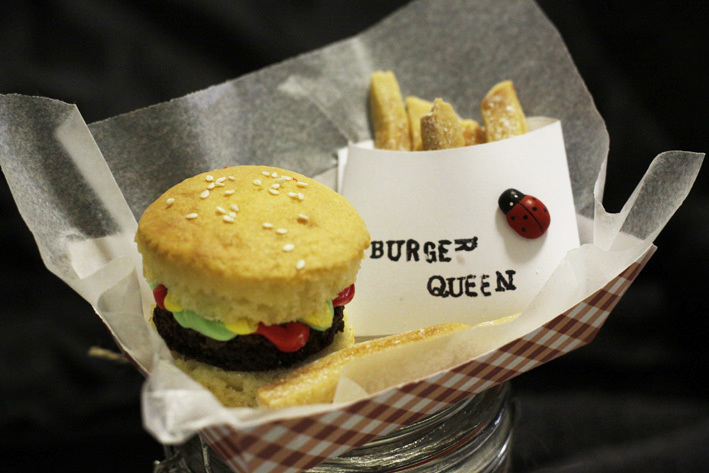 It's edible burger and chips, except it's sweet.. hehe. I asked my friends to come over to "help" me bake. They probably come and make fun of me more like it because I'm making something that is so crazy. They weren't convince at first til the last bit when we were assembling it. Took us about 4 hours to get this burger and chips cake done. It's worth it! 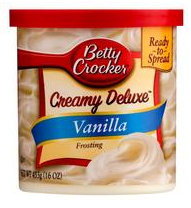 Betty Crocker Cupcake Mix Vanilla for the "Burger buns". 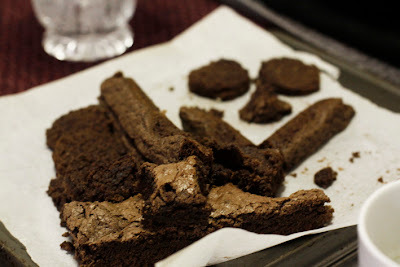 and Betty Crocker Brownie Mix for the "Patty"
Firstly, bake it in a 20cm square pan. Let it cool after baking then use a round shape cutter to cut the brownies to use it as the patty for the burger. After baking, let it cool. Scoop the icing into 3 different bowls, then put food colouring in it. 1 for yellow, 1 for green and 1 for red. Mix it up well until the colours are bright and pretty! Then pour it colours to different piping bags. 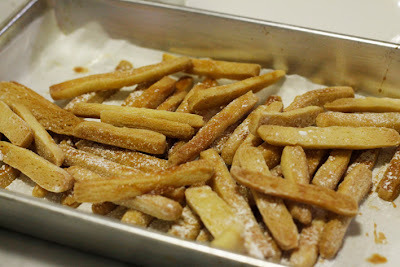 If you have got some extra time, make some "Chips" too! 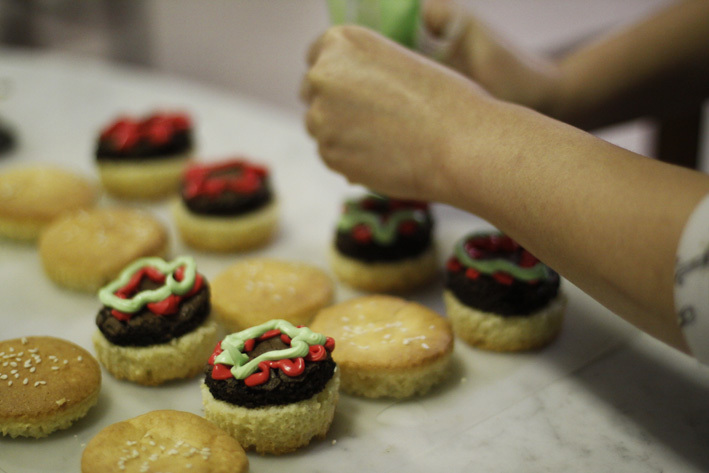 Get your own shortbread recipe, roll the dough out and cut it into thin pieces. Try a few cuts til you are happy with the size. After baking, let it cool and sprinkle some icing sugar on top! I have to have some pretty packaging to go with it!!! Or else it won't look complete! and there you go! The Sweet version of Burger and Chips! So fun to make this! You might think that I'm a genius! How can I come out with this idea!!?? 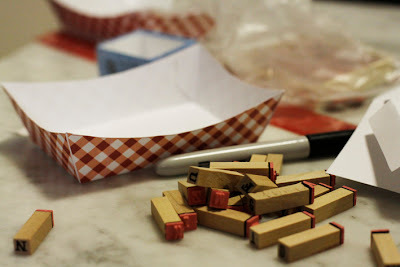 Well, I will be damn happy if I did.. but actually, I got inspired by Bakerella.com! Now she is the genius!!! She is the one who create this cute and fun dessert!!! Check out her Burger and Chips post and you will think mine actually not so good looking hahaha. You can also get the PDF of the packaging, so you can print and cut at home and use them! !